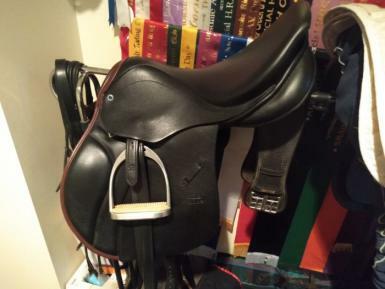 Stubben Juventus jump saddle, 17", 32" gullet (med-wide), black with havana trim. 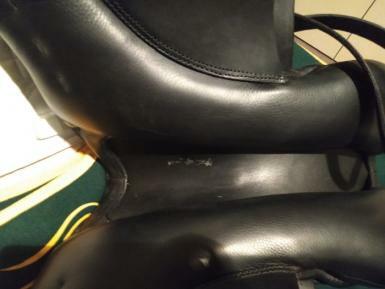 As new, has had maybe 10 rides. 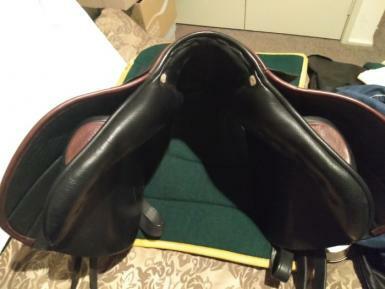 Deep seat, square cantle, front and rear blocks for stability. Has long girth points. Designed for the smaller rider up to 170cm. 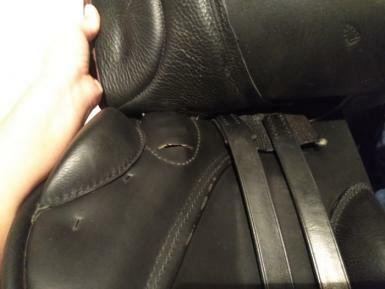 Unmounted, comes with Stubben cover.